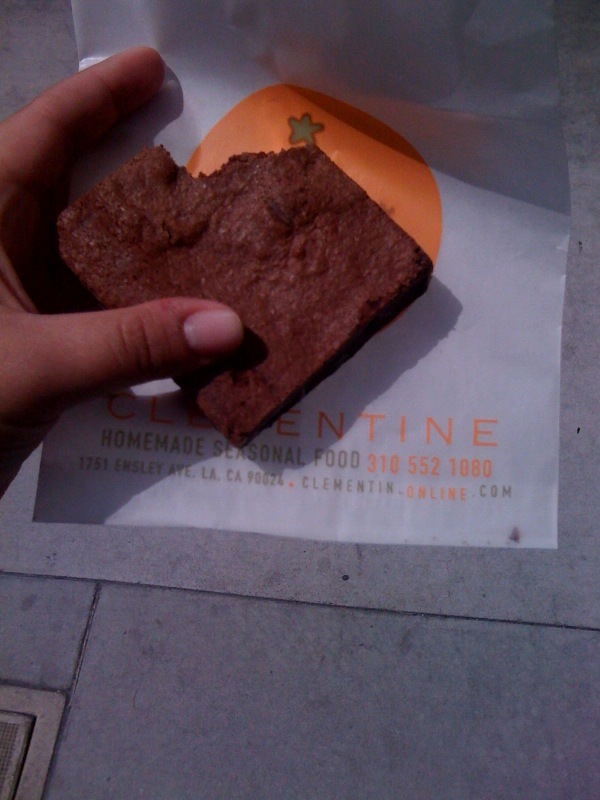 Such a great brownie! I told myself that I wouldn’t eat the whole thing at once, but hey I did. And it was delicious and I earned it! I also stopped at Coffee Bean on the way to school because nothing goes better with a long walk than a large ice tea. So good! It felt great to have a long walk before class. Plus, I got to study at Clementine. I love Clementine. They even played “Stars and Stripes Forever” while I was studying. It made me feel so patriotic!